I had only seven days of school and two days of work all in all this month, so I was pretty much being lazy the whole month. I mostly either read or watched movies and TV shows. The most interesting part of the month were probably these HUGE cupcakes I made with mom. They were so huge that even if we cut them in half– we were so full with them. 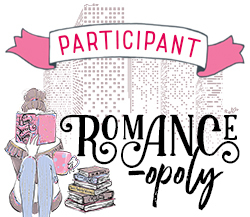 Ruby told me about this podcast; Read Me Romance and I just love it. I’ve only listened two books from there and both are Alexa Riley books. I love her books but I’m not really ready to pay for eBooks, so I’m glad I can listen them free in this podcast. Also the theme song is amazing. I already have Netflix but I also ordered HBO Nordic which is kinda like Netflix but it has shows that Netflix doesn’t have, so I was able to watch The Magicians season 3, Roswell: New Mexico’s first two episodes and the first season of A Discovery Of Witches. I’m still planning on watching Krypton and Vikings season 5. You guys might already know that I’m obsessed with bookmarks, so I made more of them. Then I reorganized my bookshelves which took over an hour. Love the shelfies and the bookmarks! First off, I love the clean format of this post, a great way to do a wrap-up, secondly, I love that you included other reviews from bloggers that you enjoyed! I’ll be perusing through the ones I haven’t read yet! Thank you and I love sharing posts from other people I enjoyed during the month, no matter if they were discussion or review posts. Sometimes lazy days are just what you need! Love the bookmarks you made. And look at you reading lots this month! Oh wow, Lots of time to be lazy — that’s my favorite ahah 😅 Ah! read me romance sounds so nice, I may check it out if I see something that interest me! yay for lazy slow weeks … even if they ruin us for the busy weeks 😅 and ooooooh, huge cupcakes sound like so much fun! Omg you are like on book 14 or 15 from Black Dagger Brotherhood? Woah. I stopped reading after 7 I think, but I want to get back to it. Is it worth it? And also, thank you so much for including me in your post! It’s incredibly sweet! I still really enjoy them! Looks like you had a good month! I’d call it a success! Congrats!! Looks like you had an epic reading month! I seriously need to get on this podcast so I can join in! Do it! I need to listen the other books since so far I’ve only listened Alexa Riley books. I am so jealous of your lazy month. I want a lazy month! But yay for reading 12 books and happy reading in February, love!